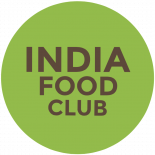 India Food Club is the one stop shop for all your food related queries. Where to dine? What event to attend? What is the best restaurant in town? We have an answer! Each post is fun and sticks to our ethos of offering good quality content! Thank you so much for reblogging my post on frosted sandesh here. Have a great day! !